Posted 10:33 am by espositoelectric & filed under Uncategorized. 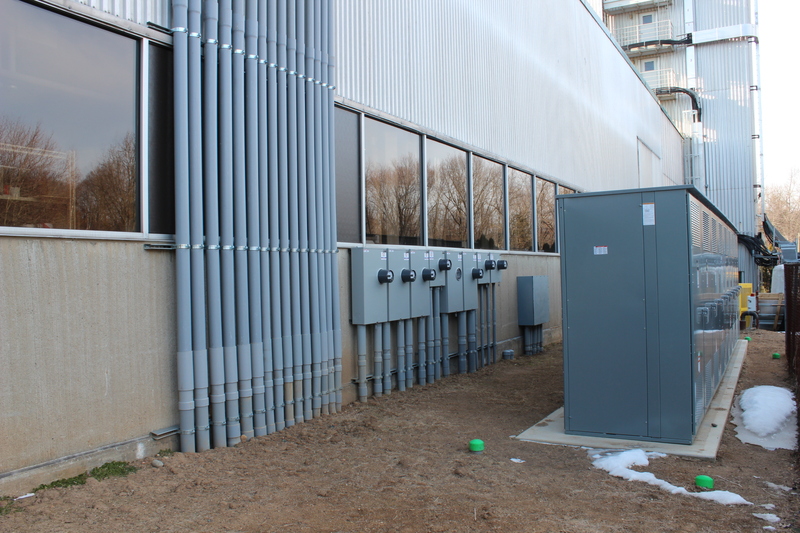 “This project was very involved and not something you’d tackle every day,” confirmed Esposito’s Project Manager Albert Joseph of Esposito’s recent award-winning work upgrading the electrical service, installing separate metering, and overhauling the distribution system at the 450,000-square-foot ‘Beta Building 5’ in Randolph while ensuring no disruption to operations for the facility’s 14 tenants. Owned by Rubenstein Properties/Beta Realty Group, the over 60-year-old facility, which provides primarily manufacturing, warehouse, and office space for its tenants, contained outdated electrical service. Based on its 20-year-long relationship serving the building, the Esposito’s team was brought in to oversee electrical work on the extensive project, which began in September 2014 and was completed in March 2015. 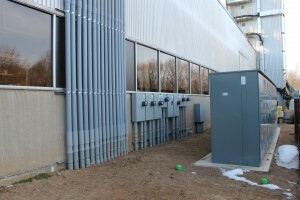 “Many months of work and planning and many miles of wire were required to accomplish this task and the end result consists of new metering for each tenant service that now comes from the utility company and is no longer the responsibility of the building owner,” shared Joseph, whose team replaced incoming power to the facility during weekdays and completed tie-ins on weekends to avoid further disruption to tenants. Confirming their trust in the Esposito’s team, “we’ve used Esposito’s in the past and will continue to use them in the future,” Mercado concluded.